I sit by the beach and try to imagine what this landscape looked like hundreds, or even thousands, of years ago. Surely, rocks are the pillars of the earth, and ocean tides ebb and flow forever. This space cannot have changed much over time. The sea tumbles rocks into pebbles, old trees fall, young trees grow, and totems decay while others appear. Yuquot means “where the winds blow from many directions.” Indeed, in the few days I’ve been here tuning into the weather, the winds have shifted often. 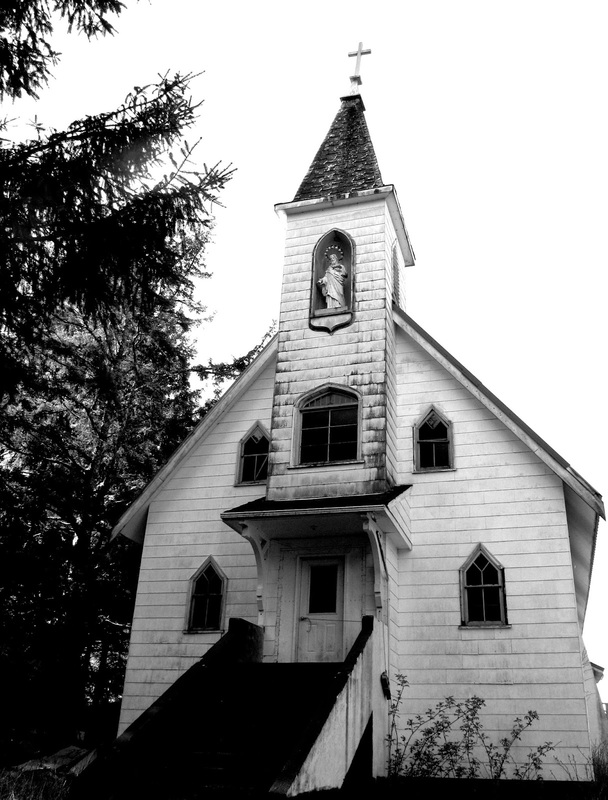 This is the ancestral home of the Mowachaht First Nation, and the centre of Nuu-chah-nulth Territory. To learn more about the culture, visit Nuuchahnulth Cultureand hear it from the people. The land juts out into Nootka Sound. I imagine the village houses, framed from solid cedar posts and banked with cedar planks, stretching along the shore of Friendly Cove. It’s said, twenty longhouses once stood here. This sandy sheltered beach fronts them. Behind them, a long pebbled beach stretches from Yuquot Point, northward up the coast. When the waves rock the shore it sounds like cascading marbles. This was once the summer meeting places of many villages who paddled on the “winds from many directions.” In the fall, the house planks were taken down and loaded into canoes along with provisions, and families paddled northward up Tahsis Inlet to their winter village. If I sail east across the sound, through Zuchiarte Channel and Muchalat Inlet, I will come to Gold River. This is where most of the people relocated. Only the Williams family remains, living in a weathered house on the beach at Friendly Cove. I just finished reading White Slaves of Maquinna (an ebook published by Heritage House). Essentially, it is a journal written by John R. Jewitt during his two year stay with the people of Yuquot. Young Jewitt was working as a blacksmith aboard the Boston, when Maquinna’s people attacked on March 22, 1803. Twenty-five crew members were killed in retaliation for injuries Maquinna’s people had suffered at the hands of European sailors during the quest for land and furs. Because of his unique skill, that of turning metal into tools and weapons, Jewitt’s life was spared. When John Thompson, the sailmaker, was discovered, Jewitt saved him by by claiming that the man was his father. Even then, Maquinna wanted Jewitt to be happy. 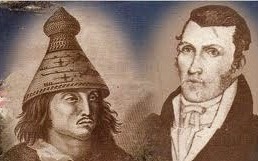 Although the journal is entitled White Slaves, Jewitt was adopted in Maquinna’s family, offered his choice of a wife, and grew close with both the chief and his sons. The only drudgery he really complains about is having to chop and carry wood. In time, Jewitt is given slaves of his own to fish for him. The armourer becomes a valued member of the village; indeed, he creates stunning daggers, harpoons, and other items for Maquinna. Naturally, Jewitt brings his own ethnocentric bias to the narrative, especially when he describes his bride. 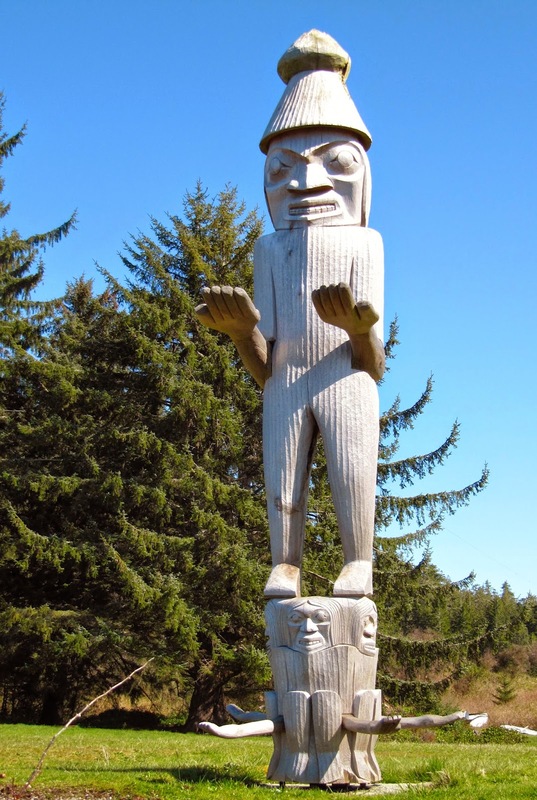 As he did not “fancy any of the Nootka woman” Maquinna purchased her from a nearby village. She was the daughter of the chief. Not exactly the treatment of a slave. The Williams family still engage in seasonal activities as did their ancestors. Out in his boat every day, Ray searches for signs of herring, as he eagerly awaits spawning time. Pine branches are cut and laid out on the dock, ready to be sunk in the water. After the herring spawn on the branches, they are raised and cleaned. Herring spawn is a traditional delicacy here at Friendly Cove. I also await the herring. When they arrive, it’s said, the cove comes alive with whales, seals, eagles, and other creatures eager to fill their bellies with spring protein. Last spring, the herring spawned on March 28. This year, they are late. Come on herring! Yes, it is such an interesting place. Thanks for sharing.